We offer church boiler fitting, installation, maintenance and repairs as part of our national church heating service. 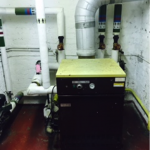 Because of the age of many existing systems in churches, we usually opt for a full boiler replacement. The reliability and efficiency of outdated boilers is severely compromised due to old materials, daily use for decades – we have even seen cases of boilers that are over 200 years old – and expensive fuel. 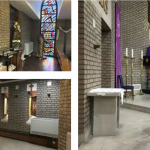 Our church boilers are super efficient – some churches see savings of thousands of pounds per month on their heating bill – and they are less expensive than you may think, meaning you will make a return on your investment in next to no time, and see savings on your fuel bill for many many years to come. 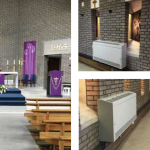 Modern church boilers heat up quicker, stay warmer for longer, and can cost up to 50% less to run than traditional boilers. If you are thinking about upgrading or replacing your existing church boiler, call the experts today for friendly, honest advice on 0161 211 6955 or fill out your details below and one of our fully trained members of staff will call you back.